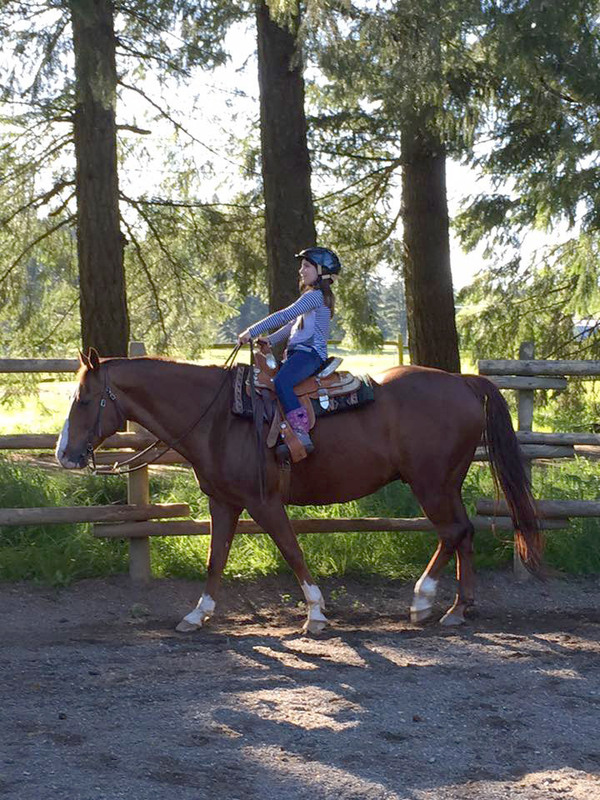 Horseback Riding Lessons at North Star Stables, Comox Valley. Meredith Manor Riding Master III certified coach with a Bachelor of Science in Equine Studies. 35 years of coaching youth and adults in both Western and English riding disciplines. I have coached multiple students to High Point and Reserve High Point Championships in Western Performance events. I offer riding lessons to all level of riders in Western and beginner to medium level in English riding. Children 7 years and up to adults all welcome. All lessons are on trained, seasoned lesson horses of various ages. If you would like to take lessons on your own horse it’s encouraged but not required. All lessons are customized to suit the experience level of the student. All lessons are on a one-on-one basis to start with then gradually students will ride with others. All students learn how to groom, saddle and ride the horse. It’s all part of the curriculum. The students will learn how to become confident individuals that can handle riding of any of the lesson horses provided. Contact us for more information on lessons, or to book your lessons.